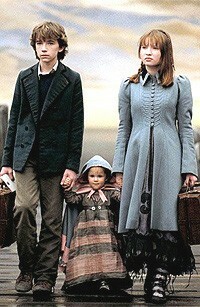 Lemony Snicket a series of unfortunate events no. 2 is an on-edge and spectacular novel. It starts off when Violet, Klaus and Sunny’s parents die in a tragic and suspicious fire. The Baudelaire youngsters find themselves in the hands of a new carer named Count Olaf. Count Olaf is a sneaky, mean and evil person who only wants the children’s massive fortune left by their parents. Violet, Klaus and Sunny are in the care of a different relative named Uncle Monty. Uncle Monty is a kind, generous and happy soul who loves the children no matter what. Later on the kids learn that they are going on an expedition in Peru with their new carer. Only days away Uncle Monty’s assistant quits and needs to find a new one fast. He finds an assistant just in time, but what Uncle Monty doesn’t know is that his new help is COUNT OLAF!! Uncle Monty doesn’t believe the children and when he does it was too late and the unexpected happens. I believe this story is amazing in every way. I wouldn’t change a thing. All the characters are interesting and alluring. Not only is this and interesting book, but it is also an unpredictable book that has surprises and twists on every page. The ending was magnificent and I particularly liked the use of language in the novel. I love the whole series! The illustrations are amazing and they really come to life in the movie. The illustrations are drawn by Brett Helquist. I recommend this book to children aged from eight to twelve because it will not bore any reader. It is an extraordinary book which can draw in any reader to reading the whole series. This book deserves to be read by millions more. Lemony Snicket has written 13 books in this series and has an imagination like no other. I can only imagine the time and hard work it took to create such a master piece. 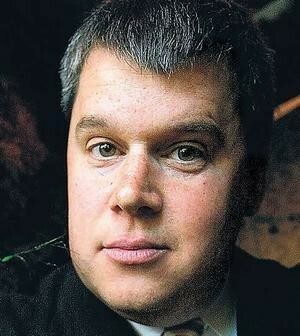 Lemony Snicket was born on February 28th 1970 and has been involved in writing and creativity ever since he was in school. The series of unfortunate events are actually to do with his life for example ‘The reptile room’: Lemony Snicket was born in small town where inhabitants were suspicious and prone to riot. He now lives in the city. During his spare time he gathers evidence and is considered something of an expert by leading authorities. This is just like one of the main characters named Uncle Monty. The reason it is called the reptile room or murder is because Uncle Monty is a leading scientist that studies reptiles and the murder bit well you will have to find that out yourself. The series involves 13 books from 'The Bad Begining' to 'The End'. Each book has around 170 pages each and extra pages at the back for information that aren't numbered. Every book has been thought over many times before being published and it payed off because they are awesome. The series has been publisehd between 1999 and 2006. I love how the story line continues and doesn't get lost along the way. This website is great for help about understanding the book and his thought process. It can also give people writing advice. You should read this book because it is amazing. It is a decent size and will not disapoint. All the characters are perfect and the settings are well described. Every word, every sentence, every page and every book is 100% astounding. If you like suspence and mystery this is the series for you. Go out to the shops and purchase this book, you won't regret it!